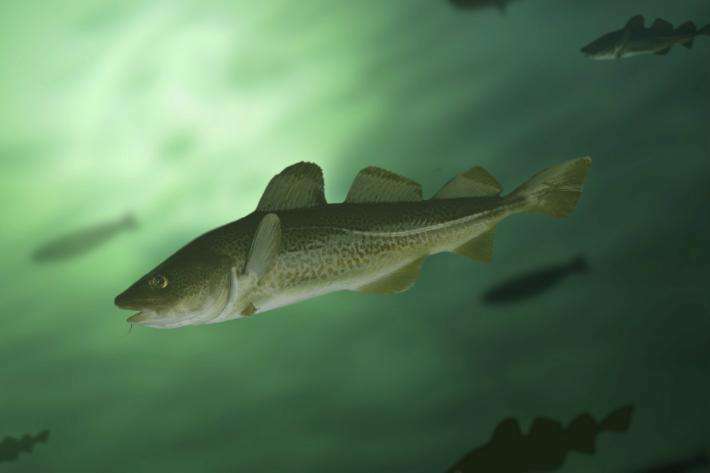 Atlantic cod could be at risk from noise created by wind farms and other off-shore developments, according to new University of Stirling research. A study carried out by the University's world-leading Institute of Aquaculture found that Atlantic cod exposed to noise levels common in land-based aquaculture facilities exhibited significantly reduced rates of egg production and fertilisation. But the researchers believe this could also have implications for Atlantic cod in the wild. Dr Andrew Davie, of the University's world leading Institute of Aquaculture, said: "We need to be cautious as our study focused on the noise generated in enclosed, on-shore aquaculture facilities, while in wild context cod have greater opportunity to escape from noise disturbances. "However, as noise generated by off-shore engineering and shipping increases, the soundscape of our oceans is undoubtedly changing and the implications for native fish stocks needs to be investigated. "Given that the shallow banks of the North Sea populated by Atlantic cod are also popular proposed sights for off-shore wind farms, and that the noise levels these can create are comparable to those used in our research, the potential harm they pose to Atlantic cod in the wild is a concern. "For land based aquaculture, the key is to consider the noise implications of the design of facilities and to use simple solutions like insulated pipelines to minimise noise transfer. Even very simple measures, such as avoiding having loud radios on in aquaculture facilities, help to protect stocks from harmful noise disturbance." Currently over 1.3 million tonnes of wild cod are landed annually with almost 30,000 tonnes being landed from UK waters. Two tests were carried out as part of the study. In the first, Atlantic cod in enclosed tank facilities were exposed to differing volumes of broad spectrum noise for a short period of time through underwater loudspeakers. Measurements taken afterwards showed a mild, short-term increase in the levels of the 'stress hormone' cortisol among these fish as a result of the noise exposure. More importantly, the second test proved that longer-term exposure to longer-lasting, random noises – of the volume and frequency range likely to be encountered by Atlantic cod in aquaculture facilities or wild fisheries – had a significant impact on egg production and fertilisation rates, with a 50 percent reduction in the number of viable embryos produced by the cod.